You won't be able to unsee Tom Brady in Drake's music video. 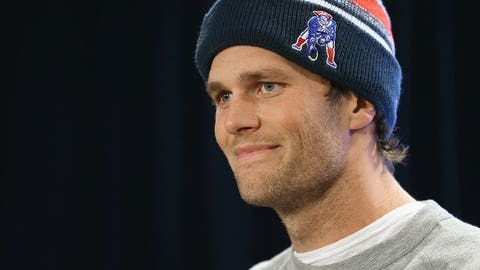 One of the most talked about parts of the whole Deflategate saga was the report that Tom Brady destroyed his cell phone during the investigation period. Memes and photoshopped images flooded the Internet much to the delight of those who aren't Brady fans. The main line from the song is “You used to call me on my cell phone,” which of course plays perfectly to Brady's “Phonegate” story. It doesn't get much funnier than that.